In less than twenty-four hours, thousands of runners will descend upon the streets of downtown Boston. 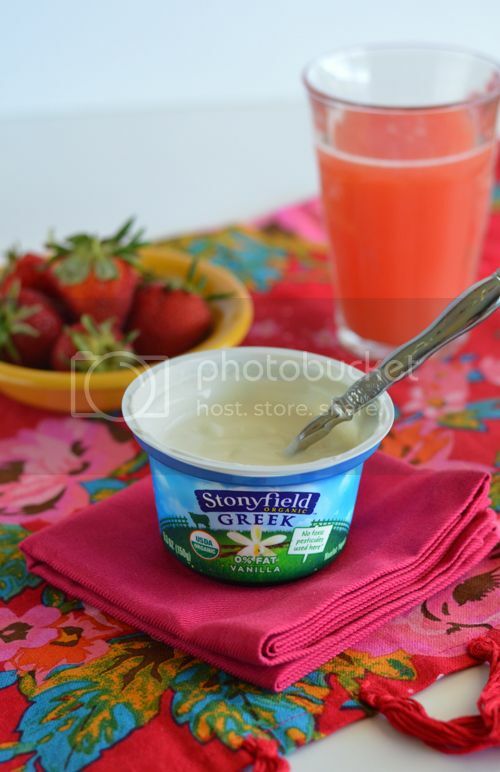 And as you might know, Stonyfield is the official yogurt sponsor of this year’s special marathon. What you probably don’t know is that they’re sponsoring 10 runners who just missed the cut-off due to this year’s large amount of sign-ups. They’re also handing out hundreds of thousands of cups of organic yogurt on race day and giving away tons of healthy living themed prizes, including a year-long gym membership on the day of the marathon. Trying to cook healthy, workout often and keep up with my family’s busy schedule, it sometimes feels like I’m running a marathon (or a half, at least). 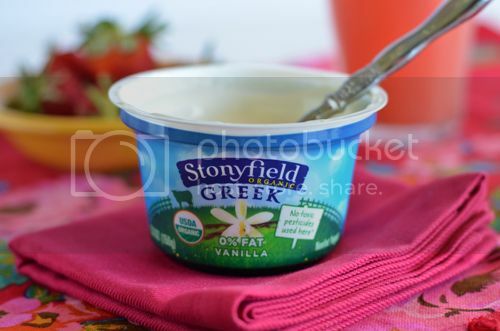 However, Stonyfield Greek helps make that marathon a little bit easier on me. I like to fuel my daily runs with Vanilla and organic granola, fresh juice and colorful berries. I also love grabbing some on my way out the door if I have an early morning or right before a boot camp class at the gym. The taste is smooth and the protein keeps me moving at just the right pace. To get in on the giveaway action, simply tweet or instagram a part of your daily marathon with the hashtag #StonyfieldSuperFan and you’re entered to win that year-long gym membership I mentioned above!